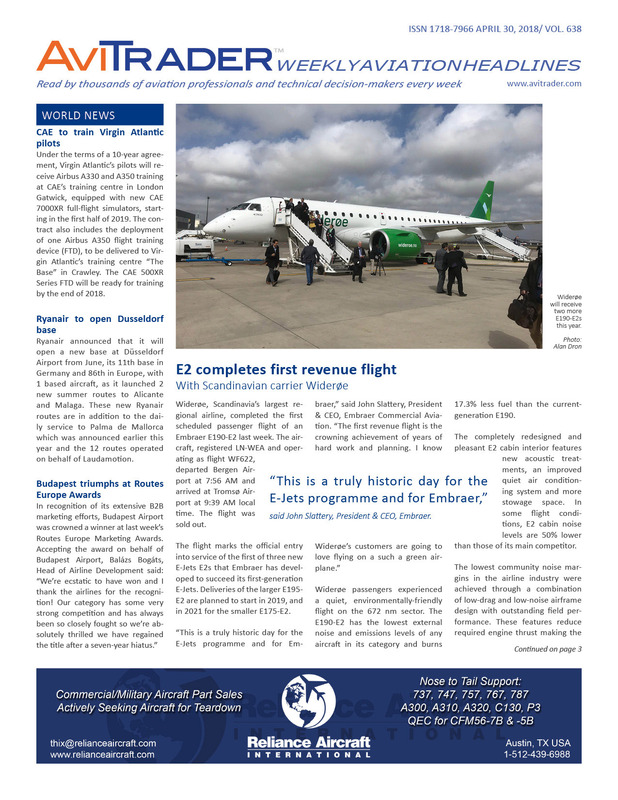 In a press release issued on May 3, by Bombardier, aside from highlighting a 12% increase in year-over-year revenue to US$4bn, the plane and train maker has also announced that it has entered into a definitive agreement to sell its Downsview, Toronto property to the Public Sector Pension Investment Board for approximately US$635 million, giving the company a positive cash impact of more than US$550 million. Under a lease agreement, the company will continue to operate from Downsview for up to three years following the closing of the deal, with two optional one-year extension periods. Bombardier has operated from the site since purchasing Boeing Co.’s de Havilland unit in 1992. The facility, which is about 13 kilometers (8 miles) northwest of downtown Toronto, is where Bombardier assembles turboprop planes such as the Q400, and business jets. Company president and CEO Bellemare confirmed that the company uses only about 10 per cent of the property and bears the cost of operating a 2,100-metre (7,000-foot) runway, including ancillary support such as a fire department and control tower. Simultaneously, Bombardier has also entered into a letter of agreement with the Greater Toronto Airports Authority (GTAA) for a long-term lease of approximately 38 acres of property at Toronto Pearson International Airport. Within the next five years Bombardier intends to create a new centre of excellence and final assembly plant for its Global business jets, though where the Q400 turboprop will be manufactured is yet to be decided. Bellemare confirmed that Bombardier is committed to the turboprop, saying there are good sales opportunities in emerging markets such as China and Africa. Delta Air Lines has reported operating performance for April 2018. The company carried 15.9 million passengers across its broad global network, a record for the month of April. Total traffic was up 3.7% compared to April 2017, while total capacity increased 4.0%. The load factor for the month was down 0.2 points to 85.2%. SureFly the personal helicopter EVTOL aircraft designed for safe and easy flight – completely conceived, designed, built and tested in America by Workhorse – has taken flight, completing its first successful, manned, untethered hover outside of Cincinnati, OH. In the coming months, Workhorse will spin off its aviation division into a separate publicly traded company named SureFly, Inc. The new company will encompass all SureFly aerial technology and expertise, including property related to the personal helicopter. West Star Aviation has announced an enhancement to their leadership team by adding Jim Rankin as CEO. Bob Rasberry has been named Chairman of the Board, and Rodger Renaud will remain President and Chief Operating Officer. Rankin began his career in aviation as a pilot flying for Midwest Airlines accruing over 11,000 flight hours. He held positions as Chief Pilot and Director of Operations before being named President & Chief Executive Officer at Skyway Airlines, a regional airline subsidiary of Midwest Airlines, in 2000. He then accepted the President & CEO position at Air Wisconsin Airlines, a 70-aircraft American Eagle carrier and most recently, he was the President & CEO of Oregon-based Columbia Helicopters. Jim will be located at the East Alton (ALN), IL, facility. Wizz Air UK, a wholly-owned subsidiary of Wizz Air Holdings, has been granted an Air Operator’s Certificate (AOC) and Operating Licence (OL) by the United Kingdom’s Civil Aviation Authority. Wizz Air UK, headquartered at London Luton airport, begins operations on May 3, with the first flight between London Luton and Bucharest. Wizz Air UK will have 8 brand new Airbus A320 and Airbus A321 aircraft in service by the end of 2018, representing an investment of US$860m and creating 300 new direct jobs with Wizz Air UK for management, pilots and cabin crew. Embraer and American Airlines have signed a firm order for 15 E175 jets with a 76-seat configuration. The contract has a value of US$705m, based on current list prices and will be included in Embraer’s 2018 second-quarter backlog. Deliveries will take place in 2019 between March and November. Dublin-based AerCap Holdings has reported net income of US$265.4m, compared with us$261.2m for the same period in 2017. The increase in net income was primarily driven by an increase in net gain on sale of assets, partially offset by the impact of the Air Berlin and Monarch Airlines lease terminations in the second half of 2017, as well as by lower other income. Basic lease rents were US$1,032.9m for the first quarter of 2018, compared with US$1,067.1m for the same period in 2017. The decrease was primarily due to the sale of mid-life and older aircraft during 2017 and the first quarter of 2018 and lower utilization as a result of the Air Berlin and Monarch Airlines lease terminations in the second half of 2017. Net gain on sale of assets for the first quarter of 2018 was US$89.3m, relating to 21 aircraft sold and two aircraft reclassified to finance leases, compared with US$47.3m for the same period in 2017, relating to 21 aircraft sold and three aircraft reclassified to finance leases. The increase was primarily due to the composition of asset sales. AirCap's Board of Directors approved a new share repurchase program authorizing total repurchases of up to US$200m of AerCap ordinary shares through September 30, 2018. SR Technics has named Mireia Gaona as General Manager for SR Technics Spain. Mireia Gaona will succeed David Mottram, who is retiring mid-2018 after more than three decades in aviation business. The three-month transition will begin on May 3, 2018. Mireia Gaona joins SR Technics from ITP Aero, where she served as MRO Repair Engineer. With a strong background in aviation, Mireia Gaona specializes in managing aircraft engine repair and overhaul, a career that had taken her to China, the United Kingdom and Spain. MTU Aero Engines AG generated revenues of €1,016.4m in the first quarter of 2018, an increase of 5% compared with the same period of the previous year (1-3/2017: €971.9m). The group’s operating profit rose by 11% from €157.9m to €175.1m, pushing up the EBIT margin from 16.2% to 17.2%. Earnings after tax increased in line with operating profit, growing by 10% from €111.7m in the first quarter of 2017 to €123.3m. MTU applied the international financial reporting standard IFRS 15 for the first time in its financial statements for the first quarter of 2018. The highest first-quarter revenue growth rate was reported by MTU’s commercial engine business, where revenues increased by 11% to €335.9m (1-3/2017: €303.9m). The engines that generated the greatest share of these revenues were the V2500 for the A320 and the GEnx for the Boeing 787 and 747-8. Revenues in the commercial maintenance business increased by 5% to €618.2m (1-3/2017: €588.4m). “This reflects exchange-rate effects,” commented CFO Peter Kameritsch. 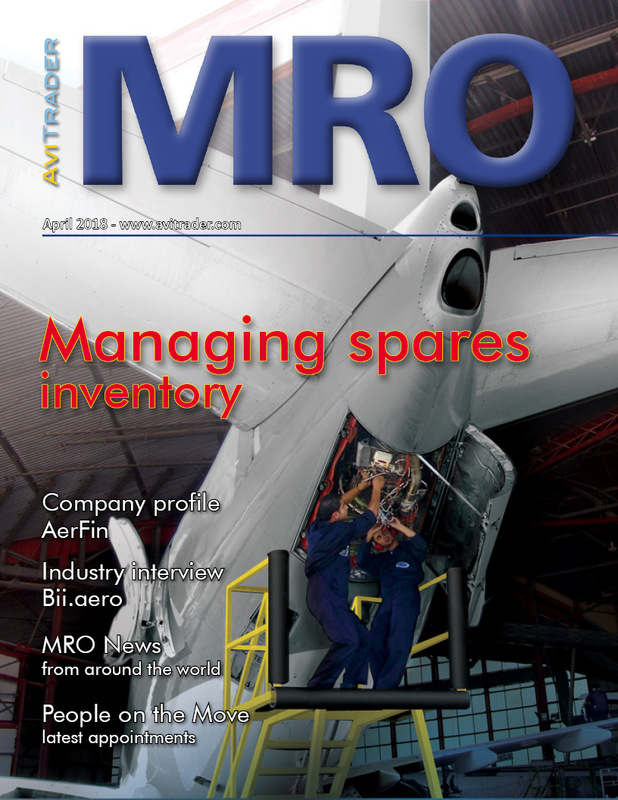 “In U.S.-dollar terms, these revenues increased by 20%, thus demonstrating the continuing strong demand for our MRO services.” The main source of revenues in the commercial maintenance business was the V2500. Revenues in the military engine business amounted to €91.3m, which is 10% lower than first-quarter revenues in 2017 (€101.0m). The EJ200 Eurofighter engine was the main revenue driver. “Over the full year, we expect revenues in the military business to remain stable,” said Kameritsch. MTU’s order backlog amounted to €15.3bn at the end of March 2018, a new record level (December 31, 2017: €14.9bn). Most of these orders relate to the V2500 and to the Geared Turbofan™ engines of the PW1000G family, foremost among them the PW1100G-JM for the A320neo. Bombardier Commercial Aircraft has signed a firm order for 15 new CRJ900 regional jets with American Airlines. The purchase agreement also includes options on an additional 15 CRJ900 aircraft. Based on the list price of the CRJ900 aircraft, the firm order is valued at approximately US$71m. American has selected PSA Airlines to operate the 15 CRJ900 in dual-class configuration with 76 seats, including 12 first class seats. The airline intends to take delivery of their first aircraft with the new interior in the second quarter of 2019.